Power of Prayer > PoP! Prayer is a means of grace. A “means of grace” is a practice, ritual, place, or object that provides access to the power and presence of God. Prayer is a practice that opens our hearts to the power of God’s love that heals and forms our character, damaged by sin, into the image of Christ. In prayer we make ourselves available to God and God’s love. To understand the purpose and power of prayer we need to understand that faith is a relationship with God who comes to us in the person of Jesus Christ through the power of the Holy Spirit. Prayer is the way God gives us to regularly communicate with him. Like any important relationship we need to open our hearts and lives to our beloved through frequent, honest communication. If a relationship is important, then we desire frequent, intimate face-to-face conversation. Prayer is how we open ourselves to God and make ourselves available to his love. It’s how his love can become our love. Prayer is how we become channels of God’s love for the world. The Bible speaks much of prayer. But, sometimes, too often, we ignore prayer and seek to accomplish in the strength of our own wills those things that we desire to have or happen. For those of us who are too often guilty of this, we need to bow our knees, confess our sin, receive God's forgiveness, and beg that the will of the Lord be done above our own. God is sovereign and loving and He knows what is best for us and others, even if it doesn't always seem to make the most sense. Prayer changes the one praying because in prayer, you are in the presence of God as you lay before Him your complete self in confession and dependence. There is nothing to hide when in quiet supplication we are reaching into the deepest part of ourselves and admitting our needs and failures. In so doing, our hearts are quieted and pride is stripped and we enjoy the presence of God. James 4:8 says, "Draw near to God and He will draw near to you." There is another benefit of prayer: peace. "Be anxious for nothing, but in everything by prayer and supplication with thanksgiving let your requests be made known to God. 7 And the peace of God, which surpasses all comprehension, shall guard your hearts and your minds in Christ Jesus," (Phil. 4:6-7). Whom Do We Pray? The Father, Son, or Holy Spirit? To pray to someone is an act of worship. Most essentially, prayer is transcendent communication with someone who does not, during the communication, share your “plane of existence.” In other words, it is an expression of fellowship with someone with whom you are in a non-empirical relationship. Let me put it another way: I don’t pray to my wife, friends, co-workers, or parents. I have fellowship with them, but this fellowship takes place in the same dimension. We pray to God not only because we believe that he exists, but because we believe that he listens from a “place” of transcendence. We believe he has the power to hear and respond to millions of people at once. It is an act of worship, not only because we believe he is transcendent, but because of the power we must ascribe to him to assume that he hears, engages, and responds. Indeed, it is the power of divinity that must facilitate such an act as prayer. Forgive my blasphemous humor here. But I think this illustrates an often unspoken issue for those of us who are Trinitarian. To whom do we pray? In seminary, Dr. Jeffery Bingham, chair of theology and professor of historic theology (an Irenaeus madman), made it clear what the traditional formula was: We are to pray to the Father, through the Son, by the Spirit. Did you get that? 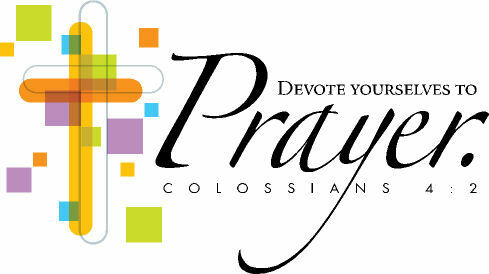 Christ, when asked by the disciples about how to pray, starts his prayer with, “Our Father…” (Matthew 6:9). Seems to be quite a slam dunk. We are to pray to the Father. Origen backs this up when he says that we pray to the Father alone “through Jesus” (ANF, Chapter XXXVII). As well, Christ is called the “high priest” who intercedes for us (Heb. 4:15). To whom does Christ intercede? To the Father. Therefore, we enter into the Father’s presence “in his name,” not our own – through the Son (John 15:16). And there is nothing in the Scripture about praying to the Holy Spirit at all. In fact, the ministry of the Holy Spirit is one of empowerment (Acts 1:8) whose ministry is to point to Christ (John 16:14). So, it seems pretty clear. We are to pray to the Father, through the Son, by the Spirit. Right? Not so fast . . . While I think this is a fine way to think about it, I don’t think we can necessarily go wrong, pragmatically or theologically, when we pray to any member of the Trinity or to God as Trinity alone. First, concerning Christ’s model prayer to the Father: it could be that Christ was telling us we are to pray to the Father and not to him, but we may be reading too much into the phrase “Our Father.” It may not be exclusive prayer to the first person of the Trinity, but speaking of God (including all members of the Trinity) as a “fatherly” figure. David Turner says about this passage: “One may think of 6:9-10 as indicating the person to whom prayer is addressed [...] and the priorities by which prayers are formed [...] This person to whom prayer is addressed is characterized as “Father,” a term inevitably colored by one’s relationship to one’s human father” (Matthew, BECNT, 184). As well, Isaiah speaks of the Messiah/Jesus as “eternal father” (Isaiah 9:6). This is not in the sense of the “first person of the Trinity” (as that would be reading too much into the text, not to mention a promotion of modalism), but in the sense that Christ is an eternal “father figure.” So I am not too comfortable reading our Trinitarian categories into the “our father” of the Lord’s prayer. Even if we did read “our Father” as meaning the first person of the Trinity, does this exclude a belief that we can pray to Christ? Of course Christ, as our example of prayer, never prayed to himself, so praying to the Father by Christ is on par with his mission. However, once “all authority” was given to him (Matthew 8:28), did some things change? Yes, Christ did say to ask for anything in his name and the Father would do it. However, in John 14:14, he says, “If you ask anything in my name, I will do it” (emphasis mine). There, he is both the agent of representation and the agent of action. There are other important issues to consider. We are told to call upon the name of the Lord (Romans 10:13). In the context, it is Christ upon whom we call. It is his reputation and his activity that we beseech. Stephen clearly prays to Jesus upon his death when he says, “Lord Jesus, receive my spirit” (Acts 7:59). In Revelation 22:20, we have the great “Maranatha!” which means, “Come, Lord Jesus!” (see also Acts 1:24). We also have our relationship with Jesus to consider. Being a high priest whom we are to love and find encouragement and support from, it is hard to imagine that we don’t foster this relationship through conversation. After all, how can we have a “friend” (John 3:29; John 15:15) to whom we have never directly spoken? I think the Scriptures testify to a relationship with all three members of the Trinity, including the Holy Spirit, with whom we have “fellowship” (2 Corinthians 13:14; Philippians 2:1). So while I do find that most of the prayer in the New Testament seems to be directed toward the Father, and I like the theological astuteness of the whole “to the Father, through the Son, by the Spirit” (it just sounds like you know what you are talking about! ), I don’t think we should be too theologically legalistic about this. We should think deeply about these things and be intentional in our relationship with God, but this intentionality should not cause us too much anxiety as God – our Trinitarian God – loves us deeply and understands the difficulties involved. When you worship, worship the Trinity. Worship the Father. Worship the Son. Worship the Holy Spirit. When you pray, follow the same pattern. Pray to God the Father by the name of Jesus in the power of the Holy Spirit. When we pray, we are actually talking to God the Father, God the Son (Jesus), and God the Holy Spirit, because they are all one God. Jesus prayed to God the Father and taught us to do the same. Jesus also said to pray in His name. That doesn't mean merely saying at the end of a prayer, "In Jesus' name, Amen." Praying in the name of Jesus means praying for things Jesus would pray for; it means praying in a way that honors Jesus. When we pray to God in Jesus' name, we are saying that we can only come to God through Jesus. Jesus died for the sin that separates us from God. We can only have a relationship with God and pray to Him through trusting Jesus. When Jesus saves us from sin, He gives us the Holy Spirit. The Holy Spirit lives inside of Christians to help us know and obey God. The Holy Spirit also helps us pray. So we pray to God the Father by the name of Jesus in the power of the Holy Spirit. Jesus said, "I will do whatever you ask in my name, so that the Son may bring glory to the Father. You may ask me for anything in my name, and I will do it" (John 14:13-14). "Brothers and sisters, I beg you to help me in my work by praying to God for me. Do this because of our Lord Jesus and the love that the Holy Spirit gives us" (Romans 15:30, NCV). "Also, the Spirit helps us with our weakness. We do not know how to pray as we should. But the Spirit himself speaks to God for us, even begs God for us with deep feelings that words cannot explain" (Romans 8:26, NCV). Read 1 Thessalonians 5:16-19. Rejoice always, pray without ceasing, give thanks in all circumstances; for this is the will of God in Christ Jesus for you. Do not quench the Spirit. Take a moment to reflect on what these verses say about what it means to live prayerfully. Devote most of your time to the practice of being present to God and remaining in God's love. Use whatever approach helps you and seems most natural. During your last few minutes, reflect in your journal on these questions: (a) How am I experiencing God's presence and my presence to God these days? (b) What am I discovering about my way of praying and relating to God? (c) What helps me pray, and what gets in the way? Adapted from Companions in Christ: Deepening Our Prayer / Participant's Book Vol. 3 by Adele J. González. Copyright © 2006 Upper Room Books. All Rights Reserved. Used with permission. [Take the sum of the people], from twenty years old and upward; as the LORD commanded Moses and the children of Israel, which went forth out of the land of Egypt.